This weekend I found myself in another part of Europe attending a conference on the future of our collective energy needs. The discussion presented an extraordinarily shocking, and terrifying vision for our future prospects. Put crudely, natural gas in Britain, and most parts of the EU, is costing precisely three times what it costs in the United States. This year every American will enjoy an extra $1300 in his or her pocket, thanks to the rise of shale gas. By 2016 this could reach $4,000 per American citizen. This is big money that can be used to buy products and boost the US economy. In contrast, the average Brit will suffer an annual increase this year of 200 euros (£165) to pay for their energy needs – thus leaving still less to spend on UK produced products. There were a number of big business leaders and European civil service technocrats present. The sum total of our deliberations was that European energy policies and practice are in chaos and we collectively face dangerously expensive supplies, as well as the increasing threat of grave shortages. It’s a staggering truth given that the EU’s origins were the old European iron and coal grouping. Twenty years after the Eastern Bloc countries joined we still have no EU-wide energy grid. In our discussion, the answers to this crisis were grim. The first was for Europe to get fracking, right now, wherever shale gas exists. Going nuclear is a major option too, irrespective of disposal threats. Reconsidering coal was even talked about. But there was a frightening enthusiasm to terminate all green levies. You may wonder whether I had actually left Britain for this conference. Actually I was 1,000 miles away and the talk was of abandoning the targets for 20 per cent renewable energy by 2020, much along the lines that the coalition government here is pursuing. At the same time we were urged to consider looking at who supplies our gas right now. Expensive gas comes in from Qatar, the UAE, and Saudi. Europe’s cheapest gas comes from Russia, direct by pipeline – indeed Russian supplies account for 30 per cent of Europe’s gas consumption. By 2016 it could rise to 50 per cent. And yet Europe’s relations with Russia are dire. So it is clearly in all our interests to improve these relations at every level – more partnerships, more technical exchanges and the rest. It will come hard, particularly for those campaigning for human rights and attempting to bear down on organised crime. But in reality, does getting cosy with Moscow really come any harder than the appalling compromises entered into with Saudi and Qatar to obtain their oil and gas? What will come hardest to those campaigning on climate change will be the abandoning of sustainability targets in the energy sector. Yet all these unpalatable options are now in play, as Europe faces the appalling consequences of lack of competitiveness brought about by currently consuming some of the most expensive gas in the world. It is now commonplace for European governments, including the British, to simply abandon all the collectively agreed targets. I left the conference downhearted. The fact is that we, Europe, emit 15 per cent of the world’s C02. If we cut 20 per cent, we save 3 per cent of the world’s emissions. It brings me no joy to say it: we are going to find ourselves willingly abandoning most of the sustainable energy targets. We had better face up to it. Really? Green levies are frightening for consumers. Only people who earn the kind of salary you do think otherwise. A lot of people (including me) have turned the heating off and can no longer afford to buy lumpfish caviar at Waitrose. The horror! If you want to pay for Green electricity why don’t you sign up with a Green Energy company to supply it to YOU, at your own huge cost, rather than making me pay for it too. But there is a problem with that. You do recognise that green electricity wouldn’t be in existence for even two milliseconds if it weren’t forced onto those who have enough sense to realise that the Climate Religion is a scam, a house of cards built on oodles (billions) of taxpayers’ money taken by force. A house of cards that will fall flat if ever that necessary foundation of coercion were to be removed and a return to sanity permitted. Even the chattering classes themselves wouldn’t support a single windmill or solar panel if they had to bear the true cost. Have no fear, the market will deliver……..won’t it? 1. All fossil fuels belong to everyone on the planet. Private energy companies to be abolished. 2. Those nations who have most access to said fuels are merely custodians, not owners. 3. Profiteering forbidden for any individual, group or nation from the sale of said fuels. In fact, profits will be abolished. 4. Energy charges to consumers will comprise nothing more than the cost of extracting and maintaining supplies, plus research and development. All of these financial figures will be freely available to anyone who wants to see them. 5. Anyone breaching these conditions to be subject to criminal trial. Plainly “the market” is NOT delivering. In this country we have many people in “fuel poverty” (read: impoverished by profiteering energy companies) and elderly citizens who die of hypothermia because they are afraid to turn on their heating. That’s what “markets” do. You know as well as any other citizen wielding common sense that the whole system is as rigged and as crooked as banking and for the same reason. Once, cotton was king……now it is energy. Eventually, cotton slavery was abolished by international agreement – the same can be done with energy two hundred years later. If you people in the media allow these thieving, corrupt bandits to get away with their immorality I hope you are able to explain to your children why you didn’t do enough to help stop it. We’re all in this together…….aren’t we? I don’t believe there’s any chance of anything you mention coming to pass. So, moving on, what *practical* measures would you propose? The market isn’t capable of delivering because it’s not actually a true market. Politicians have intervened and mismanaged it, and yet, you propose handing *more* control to the architects of our misery. The US markets are delivering handsomely. Inspite of the POS president we have if the greens could just find another cause like circular firing squad practise we would all be better off. I sincerely aplaud your good wishes… seriously. I too wish for a happier world. But my question is this… what gives you the scantest reason to believe that human nature would EVER go along with this wish list? You are asking an apple to be not an orange but a moon-rock! I have lived many years in many countries and I can assure you that in today’s world it could NEVER happen. But I do not wish to suppress your goodwill at all. My challenge to you is this – go discover what aspects of human nature make your list currently impossible, and determine what would need to change to influence different behavior. Without that, your wishes are truly a waste of time… unfortunately. I will give you theoretical starting point. A Biology professor at Yale suggested to me (too many) years ago that, “The primary activity of ALL living things is to aggregate resources in hopes to increase the likelihood of survival” (the “survival instinct”). I would suggest to you that you have a substantial burden ahead of you if your if solution locks horns with this instinct. Very best of luck on your adventure Philip. I wish you sincere success. These ridiculous subsidies for wind, solar and biomass should have been eliminated long ago, in fact they should never have been introduced. The quicker these ridiculous climate targets are abandoned the better. No developing country is going to impoverish their citizens on the basis of the flawed science being pumped out daily by a group of self interested and conflicted scientists. There is no evidence of any dangerous effects from the additional CO2 being added to the atmosphere. There is certainly no evidence whatsoever of any feedback effects’ over and above the mildly beneficial slight warming of just over 1 deg C, from the direct radiative effects experienced by the doubling of CO 2 from 280ppm to 560ppm. As for claims of “more extreme weather” as a result of additional CO2, and Cameron’s “suspicions” of links to climate change, bring us the evidence. There is not one scrap of data to support these claims. Cameron has simply made a fool of himself. The Ukraine has the choice between EU or Russian gas, they chose Russian gas. Is gas another factor in our EU in or out referendum ? Renewables barely even make a dent in emissions of CO2 (nor save fossil fuels), they have to be teamed with real power stations (mainly CCGT) because they are inherently unreliable yet at the same time result in those conventional power stations having to operate grossly inefficiently. Beyond that, CO2 has no measurable effect on climate in the first case and never has done as is clear from studying proxies for climate over the Holocene period, this great ice age, and over geologic time. There is not a shred of evidence to support the politically induced disease of carbon-phobia. CO2 is not a pollutant, it is an entirely normal component of the atmosphere and is currently at an incredibly low concentration, one molecule in every 2,500 in the air. CO2 produced by mankind (3% of natural flows) is entirely indistinguishable from CO2 emanating from natural sources. Tackle pollution – yes, tackle CO2 – no. At the same time this incredibly low CO2 concentration supports the existence of the entire biosphere. CO2 is a miracle gas and should be recognised as such. To tax it and price it out of existence is undiluted insanity. Renewables are the real environmental disaster. A survey of wind farms reveal they averagely require 60 acres for every MW of installed capacity. At 25% availability (load factor) that means they require 240 acres per MW average output. To put that in perspective to equal the average the output of a large 1GW power station a wind farm would require to occupy 375 sq miles and render that land uninhabitable. Yet when the wind drops or blows hard they produce nothing. Solar farms are even worse, ridiculously uneconomic and rendering the land unusable for agriculture. Ethanol crops have resulted in increases in the cost of staples which have meant hundreds of millions who were already impoverished are starving, the upheavals leading to even more wars in the Middle East deriving originally from food riots. The so-called energy targets are a nonsense. On the one hand they have been nothing less than economically suicidal, on the other hand they have made no impact on the world stage because Europe’s CO2 output is dwarfed by the rest of the world with China and India alone building a couple of coal fired power stations a week. Hilariously, the adoption of renewables forced on European taxpayers have actually resulted in CO2 emissions increasing rather than reducing, which is at least beneficial for crop yields. Green Party energy policies adopted by Western governments have in every respect been a disaster, economically, environmentally and financially. They have caused hundreds of billions to be squandered (entirely predictably) and have put tens of thousands of private pensioners in fuel poverty resulting in their premature death through hypothermia, entirely unnecessarily. Countless thousands more will die similarly in the future so politicians can congratulate themselves on saving the planet (not) with taxpayers’ money. Not only have all the IPCC scaremongering predictions of climate cataclysm proved utterly false, the very opposite is happening. There is every reason to believe global temperatures will decline over to something resembling a new Little Ice Age over the next hundred or so years. The trillions thrown down the lavatory on the climate religion scam would have been far better employed preparing us for that eventuality. What a pity journalists are in thrall to the eco scams of the renewables industry and their hangers-on. 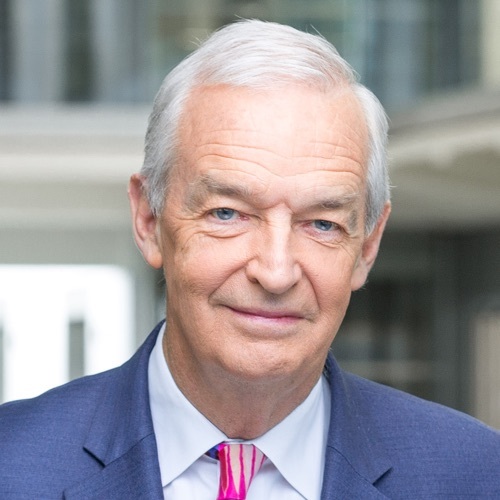 Of course Mr Snow is in an excellent position to prove me wrong. Some suggestions of where to start. Exposing the deeply flawed Stern report. Could do worse than start by asking someone like Prof Richard Tol. Critically examine the flawed output from the climate models on which much of the policy has been based. Wow the anti climate change science movement really is full of pseudo-science-chanting, screaming-harpies, forever trying to turn science into politics by obsessing over a paranoid theory that it is somehow a leftist conspiracy where it is obviously driven by rigorous peer reviewed scientific theory. It smacks of when the Left jumps up and down about evolutionary psychology as if it is a right wing conspiracy and it is just as valid. If only people didn’t bring their desires and pre-conceived ideas to every debate we might be able to have a serious grown up conversation. The most annoying thing about all this is that ‘sceptics’ such as me (no! ‘Deniers’) have BEEN SAYING THIS ALL ALONG!!!!!! We have always maintained that, whatever the truth about climate change, the expensive and futile policies demanded by green activists with no knowledge of economics were always going to damage us more than climate change ever would or will. It brings me no joy to say it: but you were warned, time and time again. It’s with some, no, a LOT of relief that we now see naïve green policies being wound back for very sensible reasons. Politicians such as Salmond, Davey and his predecessor Huhne clearly jumped the green bandwagon for their own egotistical purposes. That is costing us Billions right now and the bill goes up with every Turbine. Never mind the Subsidies and Constraint payments, their are massive hidden on cost in Turbine failure, Blade pitting caused by particles in the air and the ultimate refurbishment costs essential for every commercial wind turbine in existence.at the We are leaving our children a total bill running into Trillions. Sadly for an incredibly poor return against capital cost. Wind Turbines do have a place but the creeping disease moving across not just hills but valleys as well is the greatest economic disaster brought upon us by politicians in my lifetime and the full extent of their folly will only be known when I am pushing up the daisies. This reversal is perhaps in the “nick of time”. The sun is going quiet. Historically these periods of quiet sun correlate with periods of global cooling, Little Ice Ages. We are currently in a solar maximum that is acting very much like a solar minimum. When we drop back into the next solar minimum in around 2 years time, expect greater winters and for England, massive winter gales. Its time for Europe to restore its energy infrastructure. I hope you realise Jon the role that you and the rest of the middle-class lefties in the media have played in getting us into this mess, with your relentless promotion of green activism, climate scares, and exaggerated worries about the perceived dangers of nuclear power and fracking. Jon: in 2012, the EU emitted, not 15, but 9.5 per cent of global CO2 emissions**. So a 20% cut – even if it were possible – would mean a saving of less than 2 per cent. In contrast, the so-called “developing” economies emitted 67% (probably more by now). These are the countries*** that humiliated the West at the UN’s “make or break” Copenhagen climate conference in 2009, have frustrated Western objectives at every subsequent such conference and made it clear at the Warsaw conference a few weeks ago that they had no intention of reducing CO2 emissions in the foreseeable future; on the contrary they’re likely to increase them – probably substantially. So any further EU “sustainability targets” would be economically damaging – and make no practical difference to global emissions. I find it even more concerning that most people don’t seem to care that our carbon derived fuels are a finite resource. Yes, we can fix things for now with shale, but not for ever. We’ve already creamed off the ‘easy’ oil reserves so now, thanks to an insatiable appetite, we drill deeper and in riskier environments to satisfy our greed. Jeff. a) we have enough fossil fuels to last decades in the shape of shale gas, deep ocean oil etc. all of which have been in the news in recent months and b) technology always moves. You are assuming that we will not find any new ways of generating energy in the decades to come. Many people do this. They worry about running out of stuff as it nothing new is ever invented or discovered. Remember, the Stone Age did not end because we ran out of stones. Oh, invoking the old “granddaughter” theme. Typical greenwash. There is no evidence our grandchildren will be inconvenienced by the mild, and probably beneficial, slight warming resulting from our use of fossil fuels. You clearly don’t know a great deal about fossil fuel reserves either. After shale gas there is between 300 and 1500 years of methane clathrates to start to. Japan and China are already testing to develop recovery technology. If for some reason that didn’t work out, we will soon have thorium reactors, which are much safer than the current generation of nuclear reactors. Ever heard of Methane Hydrates? We’d love to have fracked gas, cheap coal and cheap nuclear. We’d love to get rid of all the green levies and all the subsidised green nonsense. Then we could have a cheap and reliable electricity supply again and we could have a second industrial revolution and eliminate fuel poverty. Jon, I am astonished that you should find the idea of the abandonment of green levies to be a frightening prospect. That can only be because you are blissfully unaware that the agenda of the GREENS and the GREEDIES has been rumbled and exposed as no more than a scam which has been perpetrated on the world for far too long. I could launch into all the reasons as to why this is so, but I couldn’t put it any better than Cerberus, so I would just ask you to consider all that he says. I would also refer you to the wise words of eminent energy economist; Prof. Dieter Helm in his submission to the Lords Select Committee in November. The reason why US gas is so cheap is that they have no infrastructure to export it and sell it at market prices. Once that infrastructure is in place and they can sell it abroad, the price in the US will go up. Hopefully by then the UK will be going fracking crazy and we’ll be selling it to the Russians. Do you read your comments section, Jon? Who’s the denier? Save the planet with your OWN money. I remember you reporting the lead-up to the Copenhagen Climate Conference when you could hardly contain yourself at the prospect of a legally-binding global agreement on emissions reductions. Fortunately Climategate helped to put the kibosh on that. Since then, the Kyoto Protocol expired at the end of 2012 with no successor treaty, having failed on all its climate objectives. The developing countries have made clear that they will not accept international constraints on their ability to use cheap, reliable, efficient fossil fuels to take their people out of poverty. Pressing on unilaterally with our current policies is futile as it will only damage our economy and have negligible impact on the global climate, since the UK emits only 1.7% of global CO2. Despite the obvious futility, the government presses on with its renewables targets, trashing the countryside with redundant wind farms. They are redundant because they have to be 100% duplicated by conventional power stations to supply the electricity demand when the wind doesn’t blow. Publically-accessible data shows that this happens about once a month across the whole of the UK, often in cold midwinter when demand is highest. To add to the madness, many expert studies have shown that the net CO2 savings from wind farms are probably minimal or even negative at the high levels of wind penetration planned by the government. This is because the intermittency of the wind forces the supporting fossil fuel plant into inefficient operation, requiring more fuel burn than normal for the same output of electricity and hence extra CO2 emissions. The government steadfastly refuses to acknowledge these studies, or commission any studies of their own, one assumes because they know that the findings would show conclusively that their policies are totally pointless. It would be nice to think that the chaotic reality which has suddenly been brought home to you would be reflected in your future reporting on energy policy. My, my, the adjectives! Are you trying to sell the latest zombie movie? This is unfortunate and deeply concerning. The problem is that market economic theory has not learned the right lessons from the last recession, which was spurned by the rise in cost of fossil fuel sources (not renewables). The shale oil and fracking boom in the US and Canada is a red herring. It is quite simple. Just because the reserves are reported does not mean the resources are economic to extract, the majority will stay in the ground for one simple reason. Our economies will not support the extraction cost without going into recession (demand destruction). Fracking etc has a high decline rate. Industry experts are increasingly alarmed and speaking out about the fact that as the 1,000’s of wells in the US stop producing in the very near future due to the astonishingly high decline rate the boom in these sources is all too temporary. The oil price went high because conventional production has peaked. Mature fields are declining across the World (see British North Sea Oil) when the alternative FF bubble bursts all hell will break out as the price sky-rockets. This is what Peak Oil looks like to the average consumer. “Expensive” renewables won’t look so expensive when that inevitably happens. Since we are all so bloody short-sighted, none more so than the Americans it looks like our fate is sealed and that is before you even thinking about Climate Change. And just so we are clear the peaking has happened, the International Agency that reports on such matters has already called it and production data supports it. The powers that be are simply trying to keep the show on the road for as long as they can but the end result, a few years later than previously expected will be the same. What’s frightening Jon is that you are such a green leftie to be worried about an action that is long overdue. It has been obvious to anyone living outside the BBC/Guardian/Westminster ghetto that all green/renewables subsidies are a total waste of money and simply political grandstanding. While the rest of us face ever increasing energy bills and our industry is fighting with one hand behind its back you weird believers in the cult of global warming want to make wind-mill tilting a national pastime. The UK is a tiny contributor to global emissions so even if – and it’s a bloody great if as the temperature seems to be cooling not warming – there is such a thing as climate change whatever we do amounts to the square root of SFA. Jesus you people make me sick! The 20% by 2020 is obviously a propaganda based round number. Reality has intruded and that is indeed frightening, but the abandonment of that damaging target is good news. Very interesting. I included that want to see how much renewable energy could be applied widely in the community. and this requires a strategic and fundamental policies. the need for fossil energy, is strongly influenced by the pattern of consumption and industry which is currently developing. and this makes this energy source to be reduced and depleted in the future. certainly need to do an action to address this challenge. and it seems, is currently being conducted by several agencies and international organizations to prevent the sole control of energy sources. nice post. thanks for the share.